Four more Birmingham primary schools have halted equality lessons after Muslim parents complained they were promoting homosexuality. Leigh Trust has suspended its No Outsiders programme until an agreement with parents can be reached. A number of schools across the Midlands have been involved in the sessions which discuss various issues surrounding the Equalities Act such as gender rights. 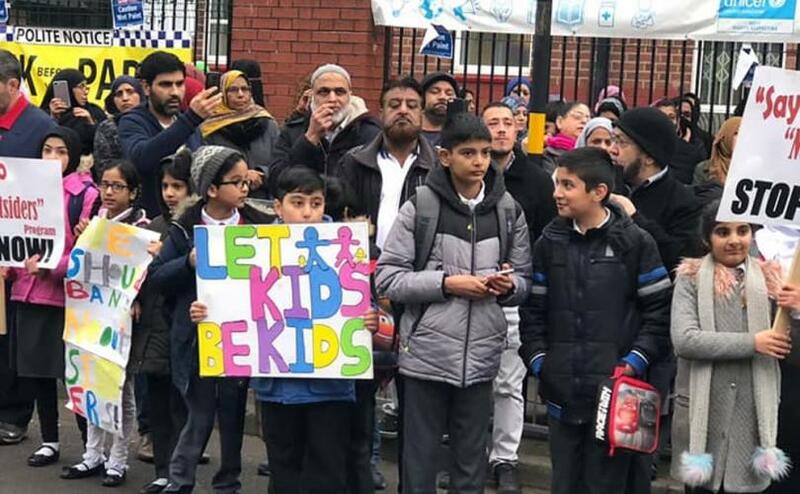 Earlier this month Parkfield Community School in Birmingham suspended the lessons after protests were held outside the school. One campaigner Amir Ahmed highlighted that Muslims had felt ‘victimised’ by the lessons. However an LGBT group leader rebutted the claim and said that the programme was helping pupils at the school understand that it was ok to be different from their classmates. In a letter obtained by the BBC, Leigh Trust said it was halting the lessons in schools until after the Islamic celebration of Ramadan, which will take place in May this year. Schools involved in the row include Leigh Primary School, Alston Primary School, Marlborough Junior and Infants School and Wyndcliff Primary School. Leigh Trust has yet to comment publicly regarding the halting of classes but has said that it wants to discuss the programme with parents in order to find a ‘positive way’ of teaching about the Equalities Act. Some parents whose children attend the schools affected have claimed that the lessons are inappropriate for young children and that the LGBT message contradicts Islam. The No Outsiders initiative was originally created and piloted in 2014 at Parkfield School by the assistant head teacher Andrew Moffat, who had been made MBE for his service to diversity and equality in education back in 2017. Ofsted had deemed the lessons as ‘age-appropriate’. One of the leaders of the Parkfield protests told the BBC that he thought the programme was ‘outrageous’ after watching a presentation about the programme which was to be shown to the governments Prevent strategy – which is aimed at combatting radicalisation. A spokesperson for Parkfield Community School said: ‘The powerpoint was written four years ago in line with Prevent duty at that time. He added that his community was ‘respectful and tolerant’ of British values but now felt victimised. He said parents who had protested were ‘effectively seen as homophobes in the wider community’. ‘Fundamentally the issue we have with No Outsiders is that it is changing our children’s moral position on family values on sexuality and we are a traditional community. This is while a gay Muslim activist who runs Birmingham South Asian LGBT, Khakan Qureshi, said he visited the Parkfield School last week and was supporting the lessons. He said: ‘Myself and many others knew from a young age that we were different and we wish we had this sort of education’. He added that he felt that the Muslim community as a whole was not homophobic but that a minority within those protesting are ‘agitating’. ‘The attitudes of the protesters towards the No Outsiders programme is completely homophobic,’ he said. Given the existing legislation to stop discrimination he said: ‘I don’t understand why certain communities here in the UK are not adhering to those laws’.